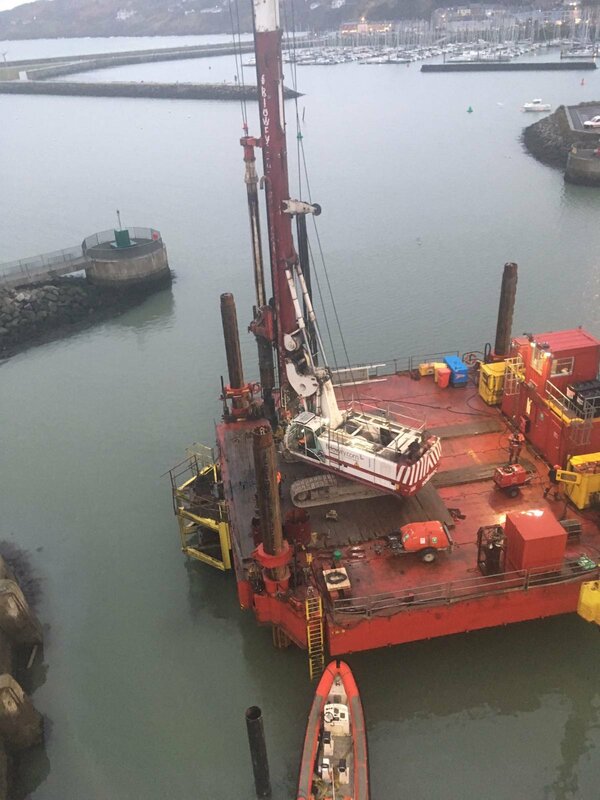 FK Lowry Piling successfully completed a £50,000 contract to install Marine Piles for the redevelopment of Howth Harbour in Dublin on behalf of ABCO Marine. 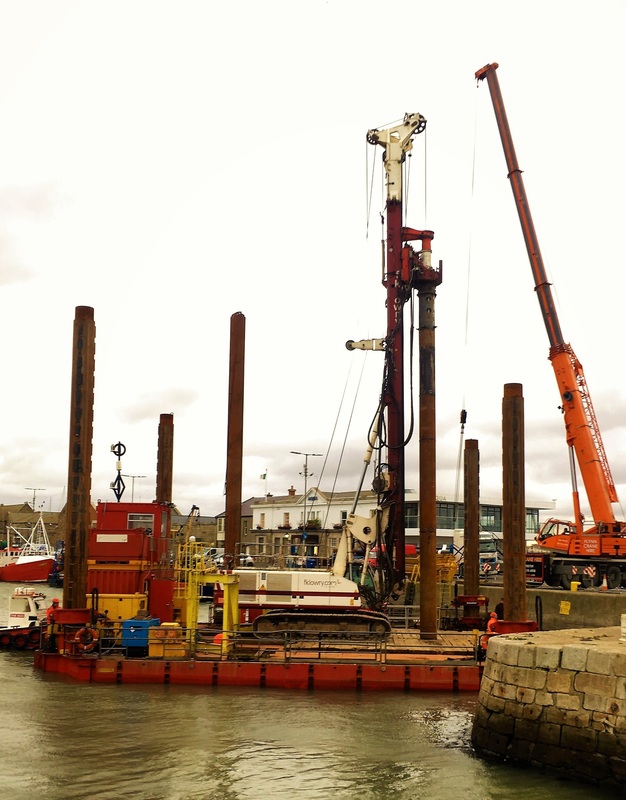 FK Lowry Piling installed 700mm OD temporary segmental casing and formed 600mm diameter rock sockets in moderately strong to strong limestone bedrock with UCS values ranging from 50-75 MPa using their Soilmec SR-70 Rotary Bored Piling Rig. A permanent 508mm OD Liner was then installed and grouted within the socketed pile.